Views from the loch. : Angler information! Photo 01 - 11lbs 10oz one of eight caught yesterday! We very much value our access to fishing on the east side of the loch and we pull out all the stops to ensure its continuance! Over the past month there have been a couple of incidents where unknowingly visitors to the loch have pitched up base camp on the Bowerhope side unwittingly breaking our rules! If you are a club member you may take your vehicle up the Bowerhope road and park in the lay bys with your membership ticket displayed in a place of prominence allowing it to be read. Visitors to the club may not use the Bowerhope road under any circumstances! 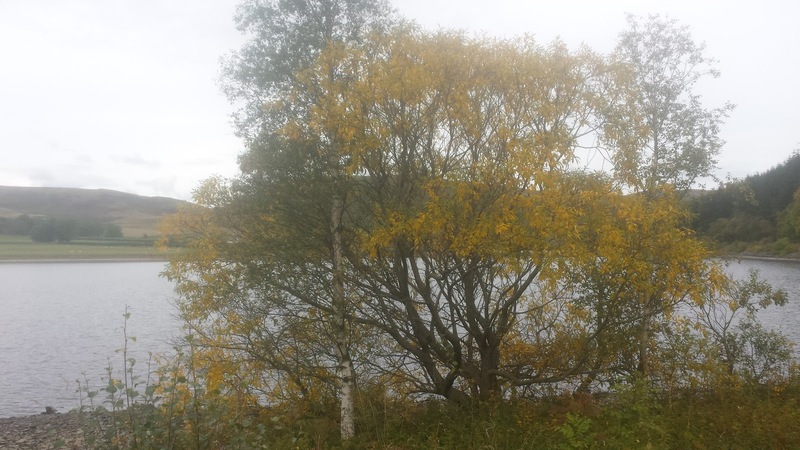 Fishing on this side of the loch is however still accessible to visitors. Visitors may hire a boat and row over to the area they fancy. It is also possible to walk to your selected area. We have formulated these rules after consultation with the tenants of Bowerhope to take in their concerns and wishes. 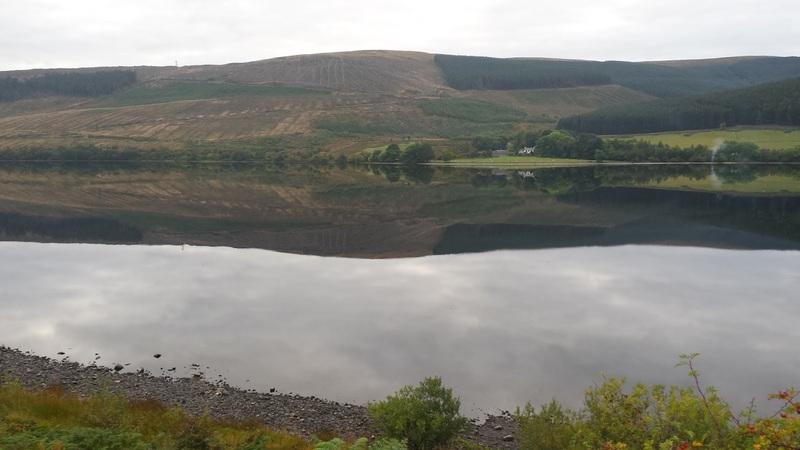 Clearly then it can be seen that all areas of the loch are accessible to our anglers. Part of the problem is anglers just turning up at the loch and commencing to fish which is in contravention of the protection order! This is unacceptable as well as being illegal. If you want to come and fish particularly late at night or first thing in the morning you must firstly make contact with our loch keeper! We fought long and hard to secure these concessions we will not stand by idly and watch them being lost! Anglers must follow these rules! Photo 02 - There is no doubt it's autumn! Again we remind members that we are holding our AGM on Wednesday the 21st of this month starting at 7.00pm at the Tibbie Shiels Inn. It’s a chance you have as a member to formulate the direction of the club and we welcome contributions from all. The meeting is informal in structure and anyone who has anything to say will be heard! We look forward to seeing you there. How to thin out Pike! Yes many clubs in our area have in the past utilised many methods to this end. In the mistaken belief that their Trout stocks would massively improve if the predators could be culled. This has not proved to be the case. 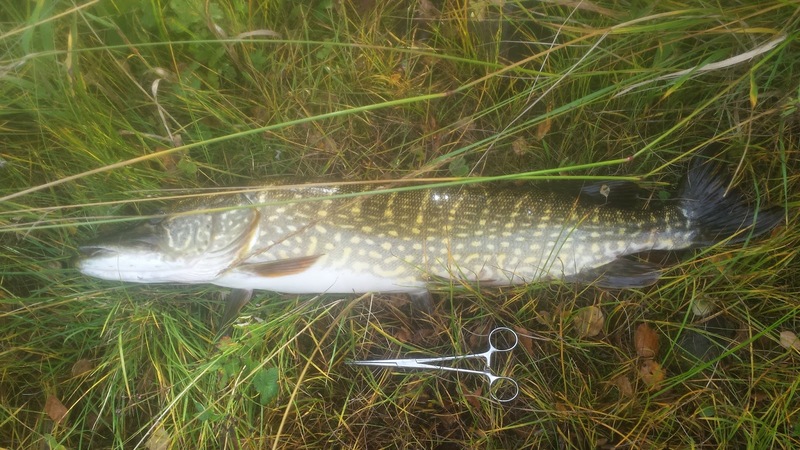 Our club in the past has carried out netting in spawning areas with mixed results yet still the Pike thrive! It’s very difficult to catch large numbers of Pike unless the area is repeatedly netted which is not a practical proposition given the sheer size of the lochs. A much more effective way is to allow fishing for the species! Rough handling aka “Dangerman” style will put paid to many fish, check out the video to see what I mean oh and it’s not at St Mary’s as the title suggests! https://www.youtube.com/watch?v=tPyaB3zxDz4 also be sure to check out the comments and listen carefully at 1.09 when the female says “oh not another one” (deep hooked!)! Absolutely shameful Pike handling! Errant shopkeepers who sell electronic alarms without stressing that in addition mechanical devices must be used in case of battery failure, which is more common than you would think. Photo shoots that go awry when the Pike being photographed tighten and jump out of the captors hands on to the stones below. Going to sleep drunk with lines still fishing in the water meaning any fish taking will likely be deep hooked and given a death sentence. Clueless anglers not using wire traces or using them with 6 pound mainline! I could go on and on but one thing is certain careless angling for Pike will decimate that stock quicker than any means of netting or trapping! It is therefore down to each and every Pike angler to seek to minimise the harm done to the fish! With angling comes responsibility, take that responsibility seriously! Oh and check out the 360 degree viewer it gives you a good look at what is a very well stocked tackle shop. 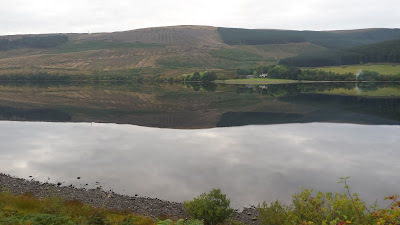 Photo 03 - Like a mill pond! A new caring Lord Snooty! Yes the less astute among us may well have been taken in by the weasel words uttered by a Tory speech writer via Lord Snooty! A Lord Snooty who cares for the poor, who seeks to end the gross inequality that infects our society. He claims to be on the side of hardworking society unlike cabinet posh boy Jeremy Hunt who thinks we do not work hard enough! It’s all a massive con trick and to be frank it should be what you expect from the Tories! They have redoubled their efforts to punish the poor with recent predictions that 200,000 families will be pushed into poverty by the vindictive cuts to tax credits being pushed through by these goons! We are in a new situation entirely where there is no credible opposition to the lot that masquerade as our government and that they were only elected by mistake! Perhaps the only reason they got into power was that Labour with Milliband and Balls at the helm were viewed as a joke particularly on economic policy! The great “recovery” that the Tories talk of incessantly is now looking increasingly fragile. The International Monetary Fund is now warning of a second financial crisis looming on the horizon and we don't have a solid manufacturing base to see us through! Snooty will be trembling with this news as their “recovery” built on a house of cards could at any moment come crashing down about his ears! Preaching to the converted Lord Snooty drew applause and standing ovations aplenty. The reaction from “hardworking” people however is completely opposite! The Tories have won the battle in regard to rhetoric and whilst this is a trifle annoying they have resoundingly lost the battle when it comes to actions! The massive amounts of jobs created have turned out to be of the worthless variety leaving millions on the brink of poverty! They stand idly by as the last remnants of our steel industry dies, they conveniently ignore the fact that coal from Australia is being shipped in to fire our power stations when the country stands on a huge untapped store of coal, thanks are due to Butcher Thatcher for this! The aims of this inept and corrupt administration are crystal clear they wish to continue the subjugation of the weak, disabled and poor! They seek to maintain the status quo with the rich getting even richer and the rest of us left to our own devices! Here we have the same old Tories and Lord Snooty who know nothing of care and compassion, treat them as scum for that is what they are! Restrictions on spinning, lures and flies! The final assault of 2015!